Just a step away from the sea and the pedestrian area that leads to the centre, ideal for those who want to spend a relaxing holiday without using the car. 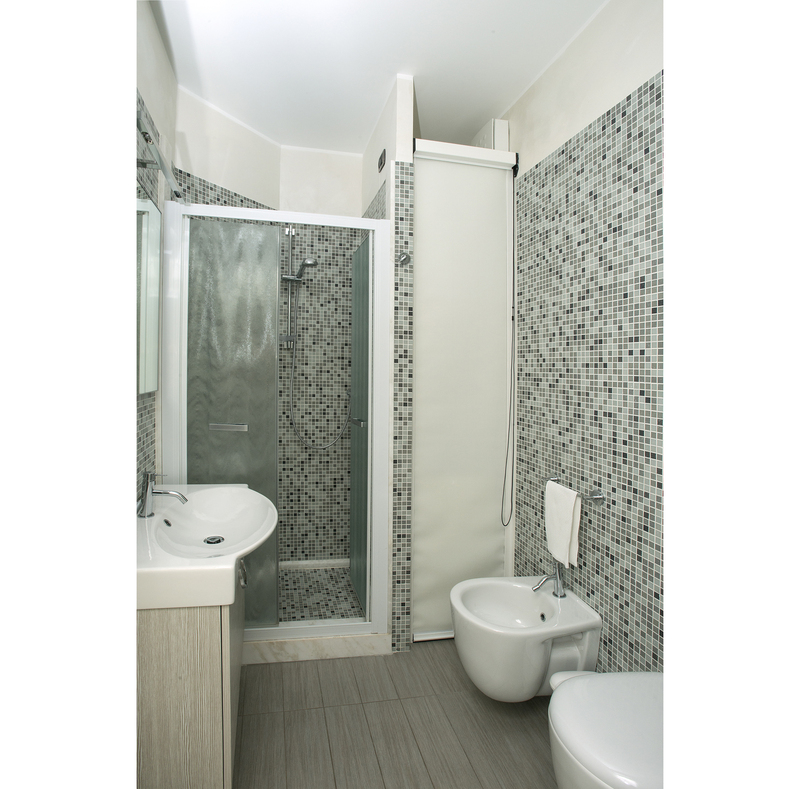 The apartments, located on the third floor with lift, have a double bedroom with TV, living room/kitchen with double sofa bed, bathroom with shower box, washing machine and hairdryer. 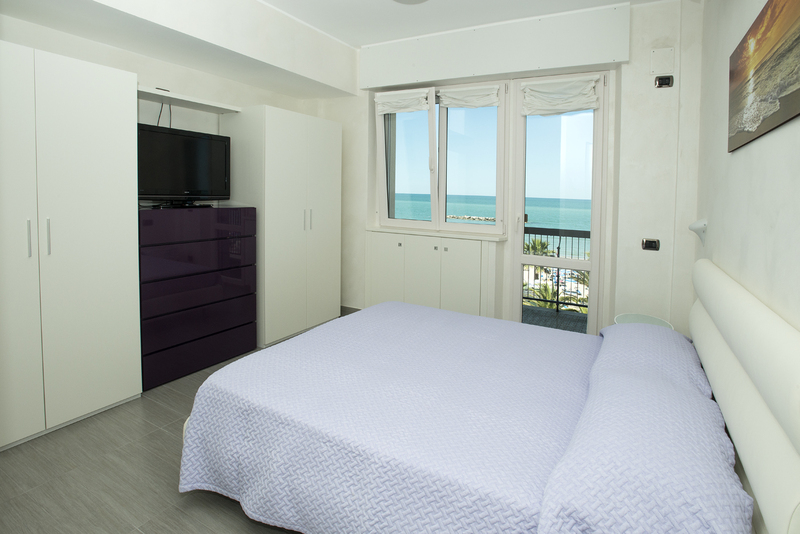 From the bedroom and the living room you have access to the balcony from which you can enjoy the wonderful landscape with a seaview. Furnishings include a fitted kitchen with fridge, dishwasher, cooker, ventilated oven and microwave as well as pots and pans, cutlery and dishes. In the living room besides the kitchen and the dining table, there is a double sofa bed and TV. Towels, kitchen and bed linen are included. 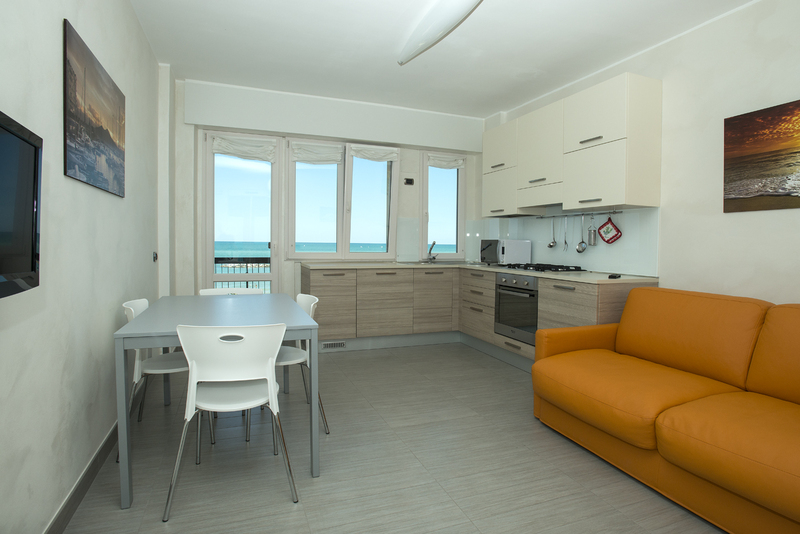 All apartments provide the maximum comfort thanks to the independent air conditioning in all the rooms and underfloor heating for those who want to use the apartment during the winter. The structure offers the possibility to accommodate up to a maximum of four people. The minimum rental period is 15 days. For any bookings out of the indicated periods, please contact us.